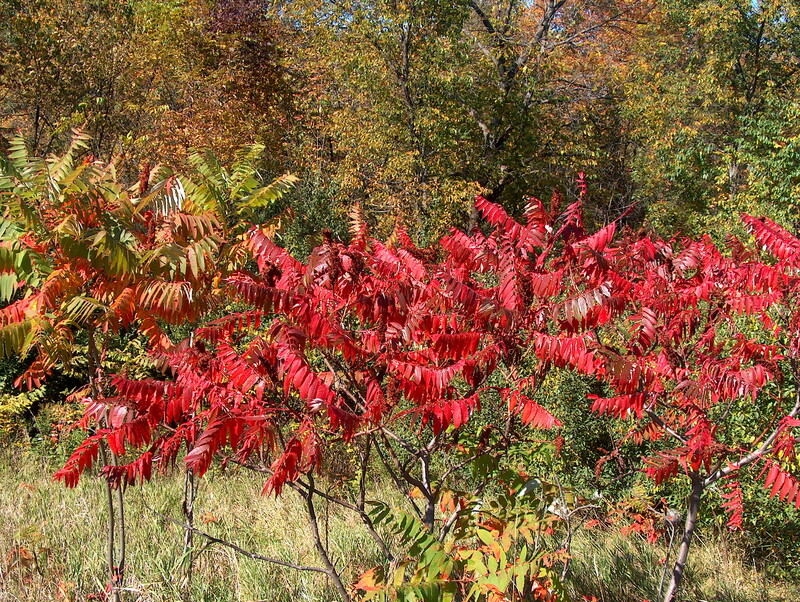 Comments: This sumac is found throughout the southern U.S. in open fields, along roadways, and other disturbed sites. A sure way to identify this native sumac is by the wings along the stems between the leaflets on the compound leaves. Foliage turns a brilliant red in late autumn with the prominent seed heads persisting into winter. Early settlers used sumacs to treat a number of ailments.